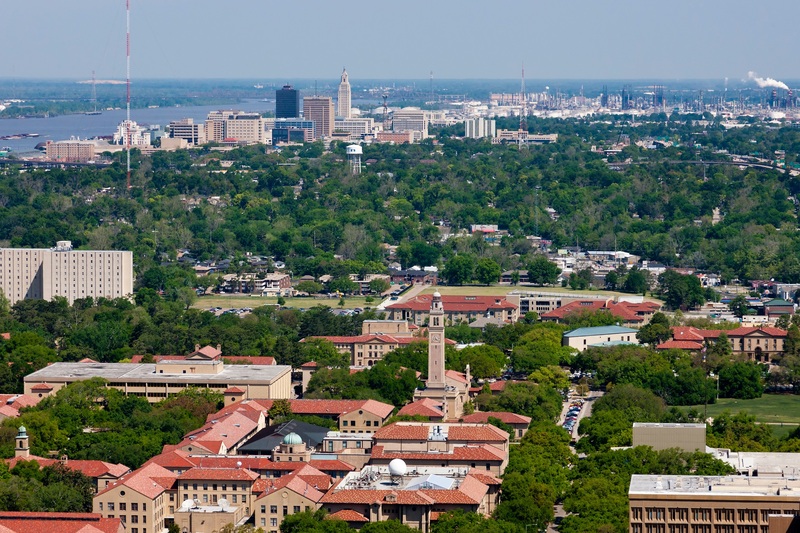 Louisiana State University is a public, coeducational higher learning institution situated in Baton Rouge Louisiana. The university was established in 1853 under the name Louisiana State Seminary of Learning & Military Academy. It has an average cost of $11K, a graduation rate of 67% and an acceptance rate of 77%. It sits on a 650-acre piece of land with over 250 buildings. The university has 1500 academic staff, 5000 administrative staff and 30, 863 students where 25,446 are undergraduate students and 5,417 are graduate students. The university has the following Health and Wellness Services. This is an award-winning surgical hospital that has over five operating rooms, twenty pain treatment suites, and twenty-three inpatient beds. The hospital offers surgical services to students and community at a fair cost. The health facility was the first in the region to introduce the use of robotic and laser spine surgery. Students with health complications are rushed into this world-class hospital. It has friendly staff and professional doctors who are ready to help. This is a mental hospital that focuses on providing care to Louisiana State University students and community. The mental health facility offers its service to people with mental illness & dual drug diagnosis. It has over 47 beds staffed with professional and experienced nurses, psychiatrists, doctors, and administrative staff who are friendly and warm welcoming. The facility has services such as individual counseling, daily interaction with therapists, marriage & family counseling, friendly, nutrition education, group counseling, and group support. Join Women’s Hospital and benefit from free group counseling. The facility organizes classes each month which centers on cancer-related topics. It is best for cancer patients and people who want to know more about surviving cancer and living well. The cancer topics discuss which foods once should take and which to avoid so that you can be healthy. It also encourages and supports students and other mothers to nurse their babies. This is a private non-profit health facility that focuses on improving people health. The hospital mission is to inspire donors to invest in the foundation and touch lives. The hospital is accountable to all donations made and uses them to provide better services to people who need medical attention. The facility has ambulances to ferry people who need urgent medical care. This is an emergency response health facility that is capable of caring for a full range of illness or injury including the complex ones. The facility serves 35,000 inpatients and 650,000 outpatients per year. It is committed to structuring the community welfare through excellence in patient care and education. The facility has standby ambulances that are staffed with experienced emergency medical technicians and paramedics. Choices have consequences. We should be aware of what takes and what we do. Learning health and wellness enables one to live a healthy life. Join the above Health and Wellness Service providers if you are experiencing any healthcomplications.